Imagine...a world of action and excitement where you decide what happens next! 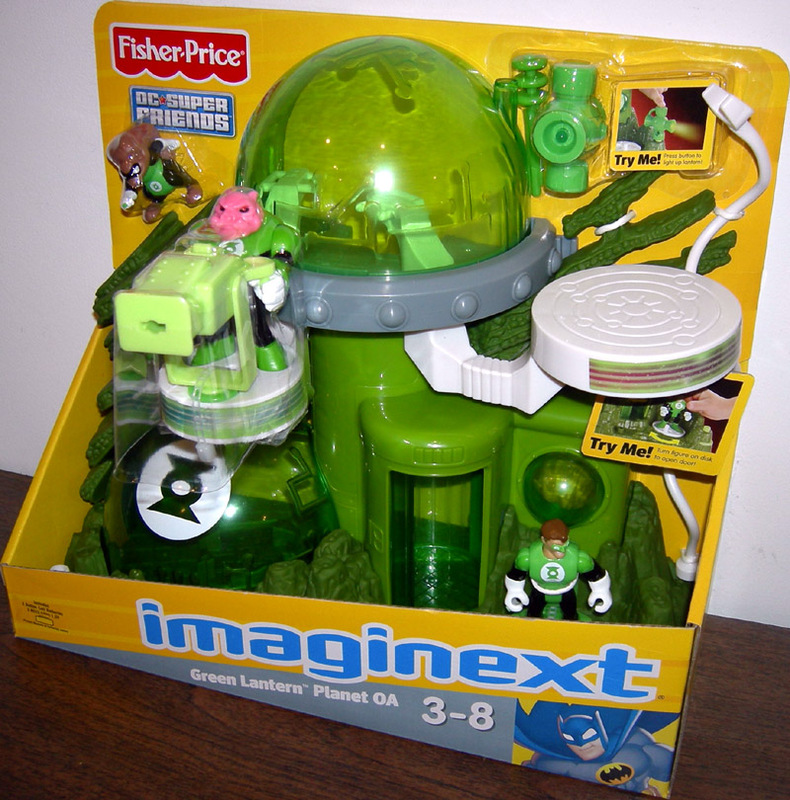 This time, it's a trip to Planet OA with super hero Green Lantern, Kilowog and B'DG. Whatever world you travel to, it's a whole new adventure every time you play! Features firing missile launcher and light up lantern. Includes 2.5" tall versions of Green Lantern, Kolowog and B'DG.